What better role model for leadership is there than Christ, who with the two words of 'follow me' brought people into new ways of life? Want to lead like Jesus did? What are the key characteristics of effective leadership that he looked for in his disciples, and that they in turn passed on to later generations? In this clear-sighted and highly motivating book, Michael Green sets out the vital answers to those questions to be found throughout the New Testament. Beginning with the Gospels, and then moving on to the teachings of Peter and Paul, he helpfully draws together the radical principles of good leadership that we need to apply if we're to succeed in growing and supporting the church in our day as the apostles did in theirs. Radical Leadership by Michael Green was published by SPCK in September 2017 and is our 3428th best seller. 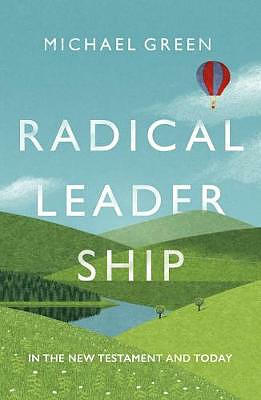 The ISBN for Radical Leadership is 9780281078660. Be the first to review Radical Leadership! Got a question? No problem! Just click here to ask us about Radical Leadership.